Our collection of State &Territory Flags features flags in different materials choices and sizes for various occasions . 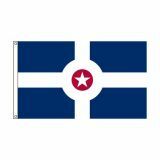 State flags range from 4" x 6" and 8"x 12"; to as large as 12' x 18'. Territory flags go from sizes 4" x 6" to 6' x 10'. 100% Made in America, these state flags made of durable nylon or polyester use colorfast UV resistant inks that will retain their beauty in the outdoors for an extended period. Designed to fly on a flagpole or hang on a wall, these outdoor flags are multi-purpose. Shop right away and take advantage of the best prices, quick shipping and much more! 100% customer satisfaction guaranteed! Tuff Flags stock all US State and Major Territory Flags. 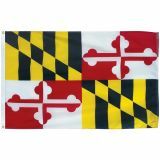 Crafted in premium quality materials, these flags are symbols of unparallel beauty and craftsmanship, these state flags are made to official specifications and color scale of their State Governments. Our flags feature seals and designs in their correct location and proportion, regardless of the size you purchase. The flags are finished with heading and grommets and reinforced with 4 rows of stitching. These flags are designed to last longer and wear better outdoors. Our process reproduces the emblem and design with exactness and in fast, brilliant colors. 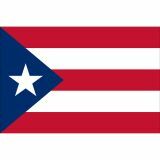 Browse our flag collection of US States and Major Territories and choose a state flag that you need. Should you find it a bit overwhelming, call us at our toll free number (888) 287-3524 or email us at customercare@tuffflags.com and we can easily walk you through the ordering process.